Let everyone know who you root for in this Chicago Bulls Black Training Camp Short Sleeve T-Shirt! 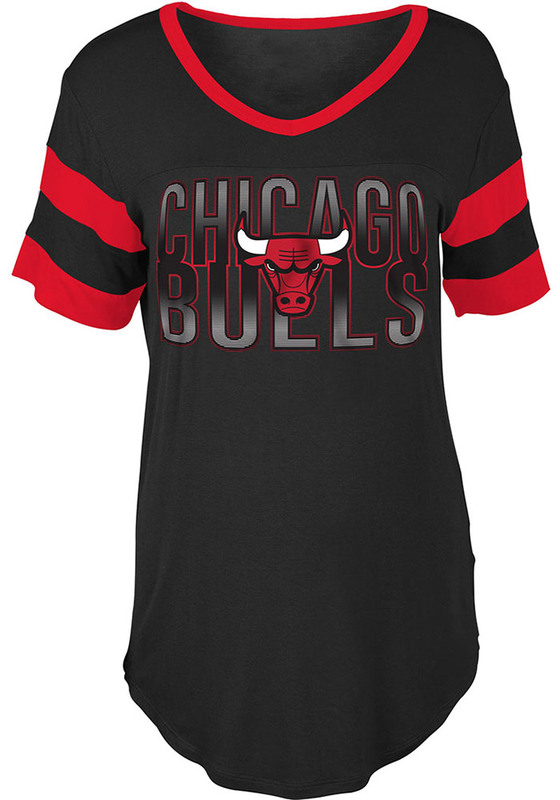 This Chicago Short Sleeve V-Neck features a team color glitter gel graphic and contrast sleeve stripes. The fabric turned out to be way softer than I expected. It fits pretty true to size however does run a little long. Its hard to find Women's plus sizes that are true to size and not Junior cut. This fit perfectly! Great quality too.